Please select an option Green Black Gray Red Please select a color. Please select an option L Xl 2xl 3xl 4xl Please select a size. 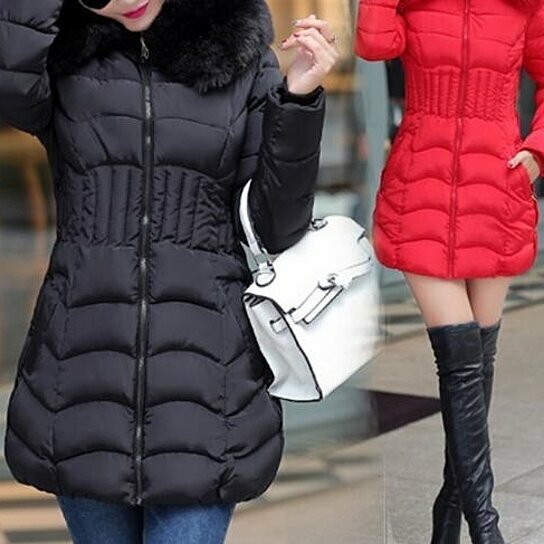 L: Bust: 96 CM / 37.44 ", Sleeve: 62 CM / 24.18 ", Shoulder: 41 CM / 15.99", Length: 80 CM / 31.2 "
XL: Bust: 102 CM / 39.78 ", Sleeve: 62 CM / 24.18 ", Shoulder: 42 CM / 16.38", Length: 81 CM / 31.59 "
XXL: Bust: 106 CM / 41.34 ", Sleeve: 63 CM / 24.57", Shoulder: 42 CM / 16.38", Length: 83 CM / 32.37 "
3XL: Bust: 112 CM / 43.68 ", Sleeve: 63 CM / 24.57", Shoulder: 43 CM / 16.77", Length: 83 CM / 32.37 "
4XL: Bust: 118 CM / 46.02 ", Sleeve: 64 CM / 24.96", Shoulder: 44 CM / 17.16", Length: 83 CM / 32.37 "